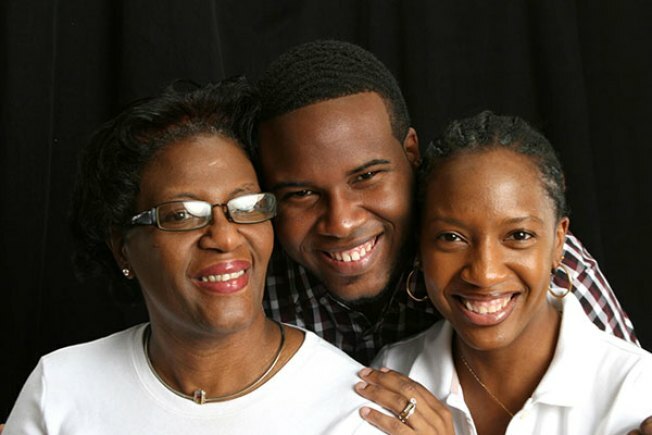 Botham Jean, center, with his mother, left, and sister, right. An Arkansas university has announced plans for a new scholarship honoring graduate Botham Jean, an unarmed black man who was fatally shot by a white Dallas police officer who'd entered his apartment last year. Jean was a native of St. Lucia who graduated from Harding University in 2016. He was shot in September by officer Amber Guyger, who told police that she entered Jean's apartment believing it was her own. Guyger was indicted on a murder charge in November. On Tuesday, Harding announced plans for the new scholarship in memory of Jean. University President Bruce McLarty said the memorial scholarship "is a perfect example of good coming from something evil and hope emerging from deep loss." Officials said students from the Caribbean will be given preference for the scholarship.